Home Automation (FE) Pte Ltd was incorporated in 1994 as a marketing, distribution and engineering company specialized in security, automation, communications and surveillance systems. Due to our aggressive marketing activity and comple­mentary marketing program, we have over the years built up a very strong and sound infra-structure in our organi­zation and a very well-established base of wholesale and distribution network and dealer/installer contacts in the South-East Asian region, including the commercial, in­dustrial and government market segments. Home Automation is also involved in the design. supply, supervision and maintenance of the entire equipment range and providing intensive training support for all of our cli­ents. Our wide experience ranging in electronics de­sign and electrical installa­tion even let us into the de­sign of system tailored par­ticular to individual custom­er's need. In line with the Singapore government's regional ex­pansion and business growth programs, we are always seeking for new challenges and marketing opportunities not only in local market but through­out the potential emerging Asian markets including places like Vietnam. Cam­bodia & Myanmar. We are taking advantage of Singa­pore's location as a region­al business hub for the Asian countries to bring and assist in marketing op­portunity for our principals and at the same time de­velop a mutual profitable business relationship for both organizations. For our export drive, we already have established branches, liaison offices. and distributor networks in Malaysia, Thailand, Vi­etnam. Philippines. Myan­mar. Brunei, Indonesia, Hong Kong and China. To all our customers, distribu­tors and suppliers - Home Automation (FE) Pte Ltd is here to stay and we are wholeheartedly committed to the progress of our com­pany and the security in­dustry. Our company team of staff is all dedicated to work hard and do best to satisfy everybody in the business. We have established branches, liaison offices. 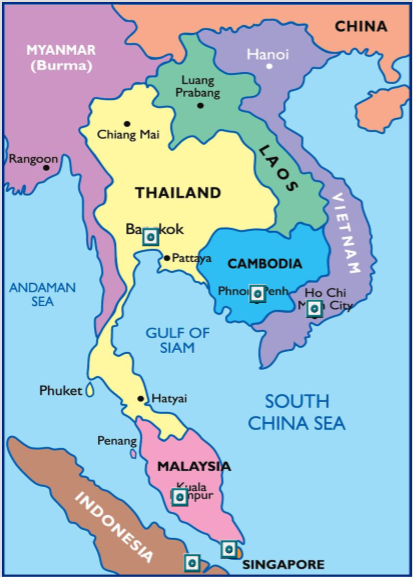 and distributor networks in Malaysia, Thailand, Vi­etnam. Philippines. Myan­mar. Brunei, Indonesia, Hong Kong and China.